A bund refers to the embankment area of a spill containment system. It involves a wall or embankment that surround a tank facility, an impervious floor within the bund, joints in the floor or wall, and facilities meant to remove liquids from a bund. IBC spill pallets are secondary containment basins designed to catch the spills and leaks of a bunding pallet. They can effectively contain material and prevent leaks from harming the environment. Requirements and regulations in place for bunding depend on specific industry and warehouse facility. The net capacity of the containment bund should be at least the entire capacity of the largest tank it is meant to contain. Allowances should be made for rainwater depending on expected rainfall levels in the area. Facility managers should consider other factors like the capacity normally displaced by other tanks. In some cases, liquid is only temporarily stored on containment pallets. These pallets should still have enough capacity to capture the liquid stored in at least one of the drums. Temporary bunding is often necessary for fuel storage during forestry or mining operations. When making these arrangements, facility managers should limit potential contamination to a localized area. Before any work begins, they should also prepare a management plan for waste disposal and site remediation. Bunding only applies to facilities that store or use liquids above-ground. The need for bunding and the best type of containment system to use depends on three separate factors. What risk does the stored liquid pose to the environment? In responding to this question, facility managers need to consider the amount of liquid involved, the facility’s ability to prevent leakage, the duration of storage, and the sensitivity of the environment. The more hazardous a liquid is, the stricter the regulations are for containing it. What specific facility or industry requires the use of a bund? These may include chemical, pesticide, and petroleum storage facilities. Bunding may also be required where spills are common and at high risk. These include transfer points, workshops, and factories. Normally, only facilities that store water and uncontaminated storm water do not require bunding. Where does the area drain to? Spills or leaks that drain out into a sewer or wastewater treatment plant can negatively impact the environment. In such cases, stricter regulations should be in place and a facility should have emergency management plans to reduce risk. There are many safety concerns when it comes to the storage of potentially hazardous materials. Besides bunding, there are some other ways to reduce the likelihood that liquids are displaced or spill into the environment. Employees at a containment facility should engage in safe practices. This includes conducting regular inspections of valves, pumps, pipes, and hoses. They need to engage in preventive maintenance procedures and service containment equipment on a regular basis. In addition, they should establish operating procedures in place in case of an emergency. 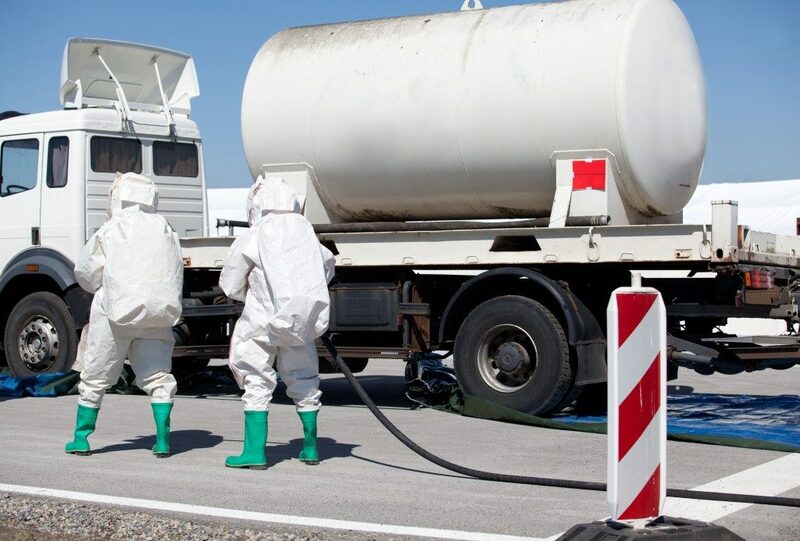 The proper design, construction, operation, and maintenance of spill containment systems eliminate any risk of pollution or environmental damage from leaks of hazardous and non-hazardous substances.